Mul-T-Lock presents a new Smartair retrofit e-cylinder, which can instantly convert any door from being purely mechanical to access control, without the need to modify a door. The fast-paced recent development of vehicle telematics systems to provide an ever-greater number of convenience features is generally incompatible with the approach necessary to make a system secure. The Yale Keyless Digital Lock is now available without a nightlatch and in two new finishes - Polished Brass and Satin Nickel. The Yale Keyless Digital Lock - for timber doors - allows consumers to access and secure their home using a personalised PIN code, with no need for a traditional key. 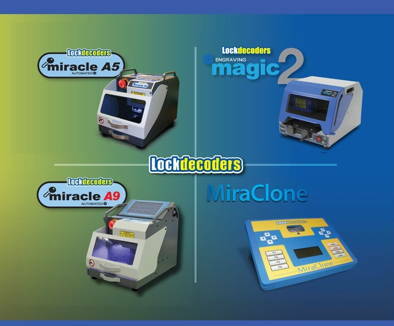 The lock's PIN code can be set via a keypad to any 4 to 12 digit number of the user's choice and reprogrammed at any time. For added convenience, users can also set up a separate visitor code to provide access for family, friends or tradesmen. Two groups of apprentices from various UK Electronic Security Systems companies will be leaving the UK during April on a EU fully funded work experience programme to Denmark, the first such programme funded through the Leonardo Mobility Programme for Skills for Security. This has been in collaboration with the Danish Institute of Fire and Security Technology, Bravida, the leading systems installation company in Scandinavia, and the Leonardo da Vinci National Agency. Cyprus has hired guards from British security firm G4S to handle the surge of customers as the country's banks reopen. More than 180 guards have been despatched across the island with police protection as the banks seek to impose a €300 (£253) limit on withdrawals. The firm - which was hit with an £85million bill last summer over the London 2012 security fiasco - has reportedly been working overnight to ensure cash machines are stocked. With the EU planning to implement a new directive which could make it compulsory for all companies to publicly declare any cyber security breaches, cabinet minister Francis Maude has spoken out against the new proposals, warning that the move could in fact hinder the UK's own efforts to increase its level of security. According to the Financial Times, Mr Maude is worried that forcing businesses to report every hack could result in some companies deliberately covering up cyber attacks or withholding key information in order to protect their reputation. MOBOTIX AG, a leading manufacturer of digital high-resolution, network-based video security systems has released details of a project for Aerohub @ Newquay Cornwall Airport that will help to secure the new multi-million pound aerospace development area and critical access roads. Mul-T-Lock UK's innovative Smartair units have been fitted to exit doors at Samuel Cody School, to upgrade the school's security from a mechanical locking system to an access control solution. Camargus signs strategic agreement with MidworldPro to deliver "full field" panoramic camera system for security and broadcast applications. Camargus, a pioneer in the field of ultra-high resolution panoramic camera systems has signed an agreement with MidWorldPro, a highly respected video solution provider based in Dubai, UAE to offer its video technology for a range of security and broadcast applications across the region. The second of two new products from Codelocks, the CL1000 KitLock is a quick retrofit for keyed cam locks supplied as standard on a wide range of lockers, cabinets and cupboards. Security group G4S has reported a 6 per cent increase in profits for 2012, a year that saw it hauled over the coals for failing to provide enough staff for the London Olympics. The firm posted underlying pre-tax profits of £516 million for the year, up from £487m in 2011 and in line with market forecasts. Revenues 8.1 per cent higher at £7.3 billion.